Whether you just bought a new home or are looking to update your current home, you may be looking for options for new window treatments. Windows tend to be on the back-burner when it comes to a renovation budget, but investing in custom shutters can completely upgrade the look of your home. That makes this upgrade one of the best decisions you can make when looking to increase the value of your home. Read on to see how Clearview Shutters can help Utah homeowners customize the perfect shutters for every window in their home. Choose from Basswood or Alder for your custom shutters. These quality materials will give you durability and elegance that is sure to satisfy you for many years to come. No matter what style you have in your home, Clearview Shutters can match your shutters so they fit in perfectly. Any stain or color can be matched so your new shutters blend flawlessly with the rest of your home. Windows don’t always come in a perfect square or rectangle. When you’re faced with an oddly shaped window, you may wonder what options you have. Whatever shapes you’re faced with, Clearview Shutters can help. From round windows to chalet-style windows, any window can be fitted with custom shutters. As the original creators of the hidden tilt rod, Clearview Shutters provide the best innovative solutions. If you don’t want your view obscured by tilt rods, choose the hidden tilt rod option and have full view of the landscape. Also, split tilt-rod option will give you privacy in all the right places without completely blocking light into your room. This is a great solution for bathrooms, movie rooms, and more. 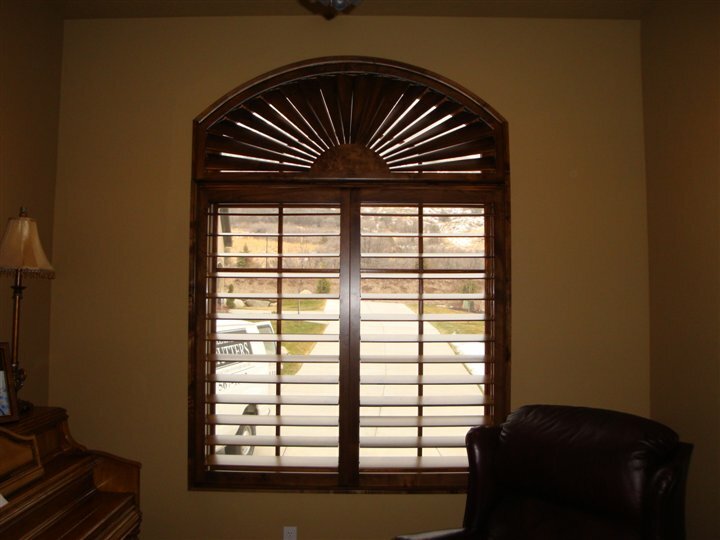 If you’re in Utah looking for custom shutters for your home, look no further than Clearview Shutters. Contact us today to get your personalized estimate.